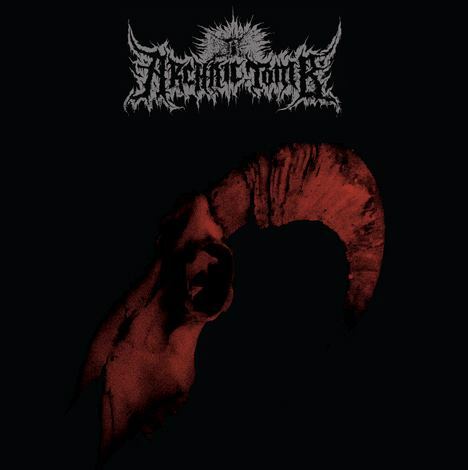 “Congregations for Ancient Rituals” is the demo of Portugal based Archaic Tomb. The album is solid Death Metal with just a hint of influence from Black Metal bands like Profanatica and Beherit. The album opens with “Initiation”, a slow and heavy instrumental that sounds like a Paleolithic hunting ritual. “Vast Cursed Landscape” carries this ancient sound forward. Cymbals like the drip of water from stalactites as the track unfolds into thick chunky riffing. The gutteral, clear vocals allow the track to feel very primitive despite very sophisticated chord progressions. “Bloody Proclamation“ is a bit of a thematic and style shift. The sound is more obscured, but the bass truly shines and there is a very nice breakdown. “Sacred Rituals” gives us an occult and more thrashy sound. Finally, “Ophiussa” closes off the album proper. It’s a sweet, brutal little track that’s not extremely innovative but has no technical flaws.